In case you are unfamiliar, Silhouette America has a longstanding reputation for making excellent electronic cutting machines. Now they have new revolutionary machines for you to try, as well as updates on their tried and true classic Silhouette machines. 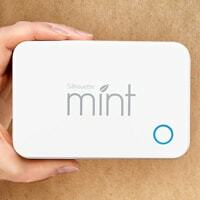 Mint - innovative stamp making machines and accessories. 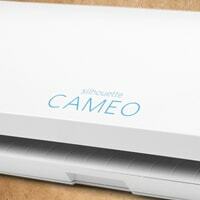 Silhouette CAMEO - classic cutting machine, now on its third generation. Portrait machines - compact cutting solution for crafters with limited space. Curio supplies - we no longer carry machines, but we still have accessories on sale. What Can Silhouette Machines Do? Silhouette brings you a series of easy-to-use craft machines. Their classic machines are die-cutters but now they are starting to bring their customers new innovative machines, like you've never seen before. These die-cutters can cut a wide variety of materials such as Silhouette vinyl, cardstock, Silhouette heat transfer, fabric, vellum, and so much more. When your CAMEO or Portrait is used with Silhouette Studio software you can create and cut your custom made designs. Use fonts that are already downloaded onto your computer. You can also use any of the thousands of designs from the Silhouette store for any project. If you are looking to purchase a Silhouette machine there are a couple different options to choose from. The Silhouette CAMEO, and the Silhouette Portrait. Each Silhouette cutting machine has similarities and differences. By reading a little about each product, you can decide which machine is right for you. Cuts material that is 8 x 10 or 8 x 12. By reading over the product specifics, you can decide which machine is right for you. If you are someone who does a lot of crafting you might want to decide on the Silhouette CAMEO since it provides you with the ability to cut out larger materials. We carry all the Silhouette mats, as well as the Silhouette tools you need to ensure your projects go off seamlessly. Remember to keep your CAMEO blades sharp for more precise cutting. 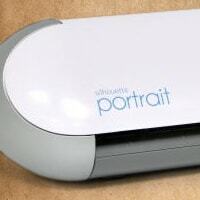 This multi-use DIY Silhouette machine enables users to emboss, cut, stipple, etch, sketch, and more! It's truly a revolutionary machine. This stamp making system is so much fun for crafters because it allows them to create their own stamp designs. It doesn't matter whether you are looking for a Silhouette CAMEO or Portrait, you will love all the machines you will find here at CraftDirect. We have searched high and low to bring you some of the very best Silhouette cutting machines that you will find anywhere. Don't go another day buying pre made vinyl lettering for your home. Shop with CraftDirect.com and find a Silhouette machine to help you make your very own lettering and designs for all your crafting needs. If you don't find the right electronic cutting machines here, check out our huge selection of quality solutions. We also have all kinds of Silhouette accessories., No matter what paper craft supplies you need, we have you covered.